ADAMED SmartUP Academy in Poznań! 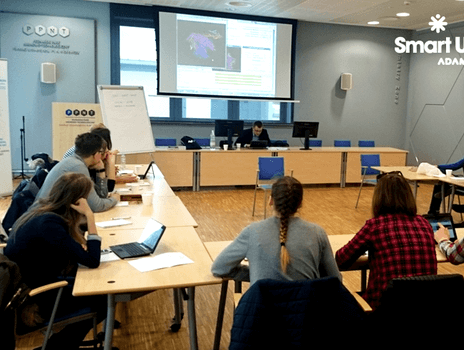 Another free-of-charge ADAMED SmartUP Academy workshop took place last weekend, the 18th and 19th of April, in Poznań. Its participants and lecturers met in the Science and Technology Park to discuss biochemistry research. During the theoretical and practical parts, the young people were particularly interested in DNA and laboratory workshops consisting in isolating their genetic code. Upcoming are the two last workshops: in Łódź and the Tricity.